Eyelid Surgery, or Blepharoplasty, is a surgical procedure to improve the appearance of the upper eyelids, lower eyelids or both. 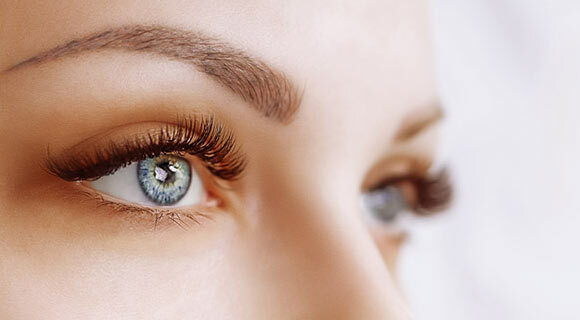 Whether you want to improve the appearance of your eyes or are experiencing functional problems with your eyelids, eyelid surgery can rejuvenate your face with a brighter look. Eyelid surgery can treat loose or sagging skin that creates folds or disturbs the natural contour of the upper eyelid, sometimes impairing vision, as well as excess fatty deposits that appear as eyelid puffiness. Blepharoplasty is also used to address bags under the eyes, drooping lower eyelids that reveal white below the iris, and excess skin and fine wrinkles of the lower eyelids. Eyelid surgery has become one of the most popular procedures for facial rejuvenation at our Birmingham, Alabama cosmetic surgery center. The plastic surgeons at Hedden & Gunn Plastic Surgery can restore a more alert, youthful look by eliminating excess skin from the upper eyelids and reducing bagginess below the eyes. Healthy people who do not have a life-threatening illness or medical conditions that can impair healing. People with a positive outlook and specific goals for eyelid surgery. People without serious eye conditions. Your plastic surgeon will thoroughly evaluate your anatomy to determine the causes of your eyelid appearance and the procedures that might best be used to remedy these causes. Remember that the eyelids are part of the face. The appearance of drooping upper eyelid could also be due to relaxation of the forehead skin and eyebrows. Drooping eyelids are sometimes caused by stretching of the upper eyelid muscles. By choosing a member of the American Society of Plastic Surgeons (ASPS) for your eyelid surgery procedure, you can be assured that you are choosing a highly-trained, board-certified plastic surgeon. ASPS Member Surgeons must meet rigorous standards for training, ethics, physician practice and research in plastic surgery. Medical conditions, drug allergies, previous medical treatments and any problems you have had with your eyes. Use of current medications, vitamins, herbal supplements, alcohol, tobacco and drugs. Discuss your facial rejuvenation options and recommend a course of treatment. Discuss the likely outcomes of eyelid surgery and any potential risks. Discuss the type of anesthesia that will be used. Be sure to ask questions at your consultation. It is very important that you completely understand your eyelid surgery and recuperation. It's natural to feel some anxiety, whether preoperative stress or excitement about your anticipated new look. Don't be shy about discussing these feelings with your plastic surgeon. The decision to have eyelid surgery is personal. You will have to decide if eyelid surgery will achieve your goals and if the potential risks are acceptable. Bleeding from the incision lines. Sensitivity to the sun or other bright light. An outward rolling of the eyelid (ectropion). Lid lag, a pulling down of the lower eyelid may occur and is often temporary. Temporary or even permanent change in vision, and very rare chance of blindness. Possible need for revision surgery. These risks and others will be fully discussed prior to your consent. It is important that you address all of your questions directly with your plastic surgeon. Take certain medications or adjust your current medications. Avoid taking aspirin, anti-inflammatory drugs and herbal supplements, as they can increase bleeding. Eyelid surgery may be performed in an accredited office-based surgical facility, an outpatient or licensed ambulatory surgical center, or a hospital. Be sure to arrange for someone to drive you to and from surgery and stay with you for at least the first night. Anesthesia choices for eyelid surgery include intravenous sedation and general anesthesia. Your doctor will recommend the best choice for you. The incision lines for eyelid surgery are designed so that the resultant scars will be well-concealed within the natural structures of the eyelid region. The upper eyelid can be corrected through an incision within the natural crease of the eyelid. This allows for removal or repositioning of fat deposits, tightening of muscles and removal of excess skin. Conditions of the lower eyelid may be corrected with an incision just below the lower lash line. Through this incision, excess skin in the lower eyelid is removed. Again, the excess fat can be repositioned or removed. A transconjunctival incision, created on the inside of the lower eyelid, is an alternate technique to correct lower eyelid conditions and redistribute or remove excess fat. No skin is removed with this technique. Eyelid incisions are typically closed with removable sutures, skin adhesives, surgical tape. Your surgeon may suggest the use of a Laser or Chemical Peel to reduce discoloration of the lower eyelids. How to care for your eyes. Medications to apply or take orally to aid healing and reduce the potential for infection. Specific concerns to look for at the surgical site or in your overall health. When to follow-up with your plastic surgeon. After your procedure, lubricating ointment and cold compresses may be applied. In some cases your eyes may be loosely covered with gauze. Initial healing may include some swelling, bruising, irritation or dry eyes. Discomfort can be controlled with medication, cold compresses and ointment. Irritation at the incision sites is also possible. It is important that the surgical incisions are not subjected to excessive force, abrasion or motion during the time of healing. Be sure to ask your plastic surgeon specific questions about what you can expect during your eyelid surgery recovery period. Will I have dressings/bandages after surgery, and when will they be removed? Are stitches removed, and when? You must practice diligent sun protection and use darkly tinted sunglasses until the healing process is fully complete. The final results of eyelid surgery will appear gradually over several weeks as swelling and bruising subside. It may take up to a year for incision lines to fully refine. Satisfaction with your new image should continue to grow as you recover from surgery and reveal smooth, better-defined eyelids and surrounding region and an alert and rejuvenated appearance. The results of eyelid surgery will be long-lasting. While eyelid surgery can be expected to correct certain conditions permanently, you will continue to age naturally. Life-long sun protection will help to maintain your results. Although good results are expected from your eyelid surgery, there is no guarantee. In some situations it may not be possible to achieve optimal results with a single procedure and another surgery may be necessary. Blepharoplasty: Also known as eyelid surgery, a procedure to improve the appearance of the upper eyelids, lower eyelids or both. Ectropion: When the lower eyelid is rolled outward after eyelid surgery, often a temporary condition. Intravenous sedation: Sedatives administered by injection to help you relax. Local anesthesia: A drug injected directly to the site of an incision to relieve pain during an operation. Transconjunctival incision: Incision hidden inside the lower eyelid. Sutures: Stitches used to hold skin and tissue together. Eyelid Surgery at Hedden & Gunn Plastic Surgery eliminates excess skin from the upper eyelids and reduces bagginess below the eyes. Please contact our cosmetic surgeons in Birmingham, Alabama today to find out more about Eyelid Surgery or Blepharoplasty at Hedden & Gunn Plastic Surgery.